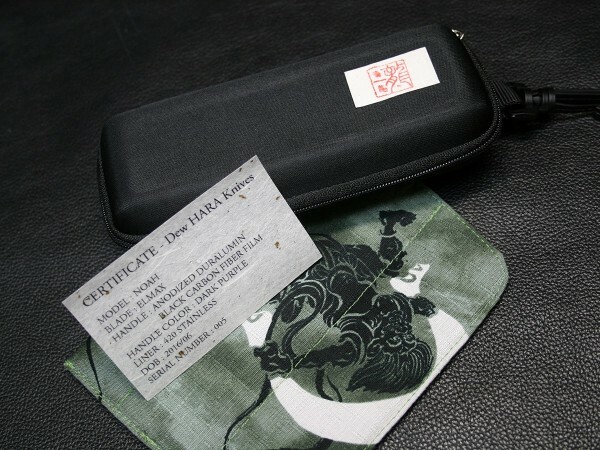 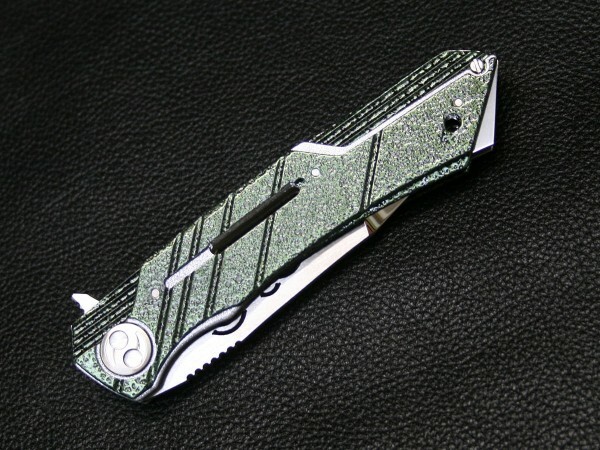 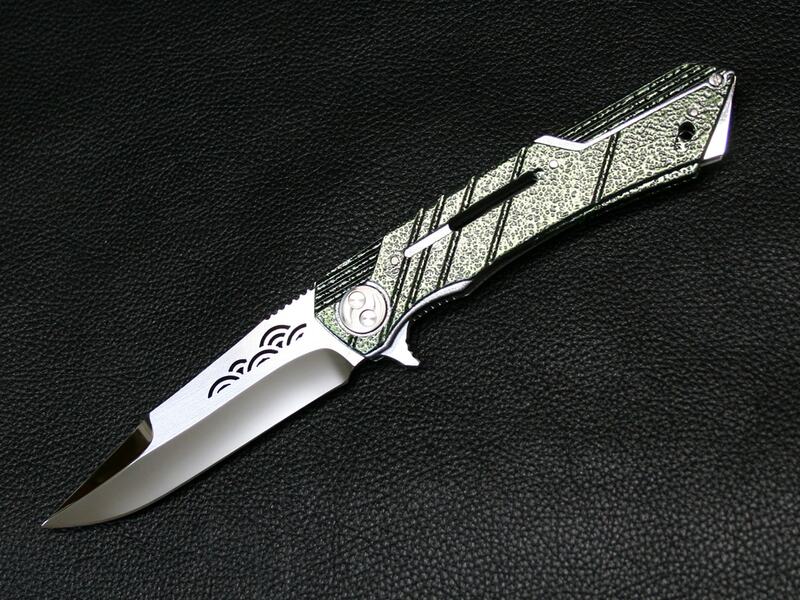 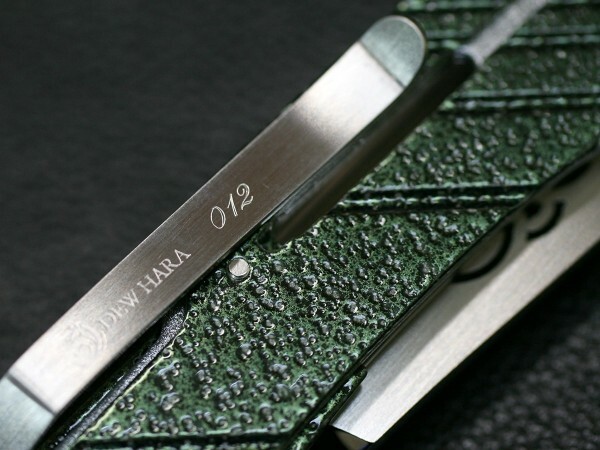 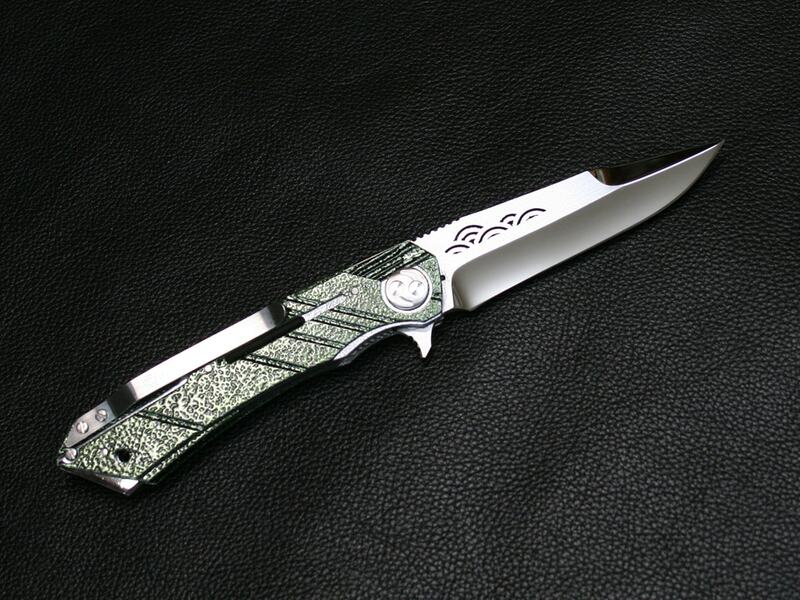 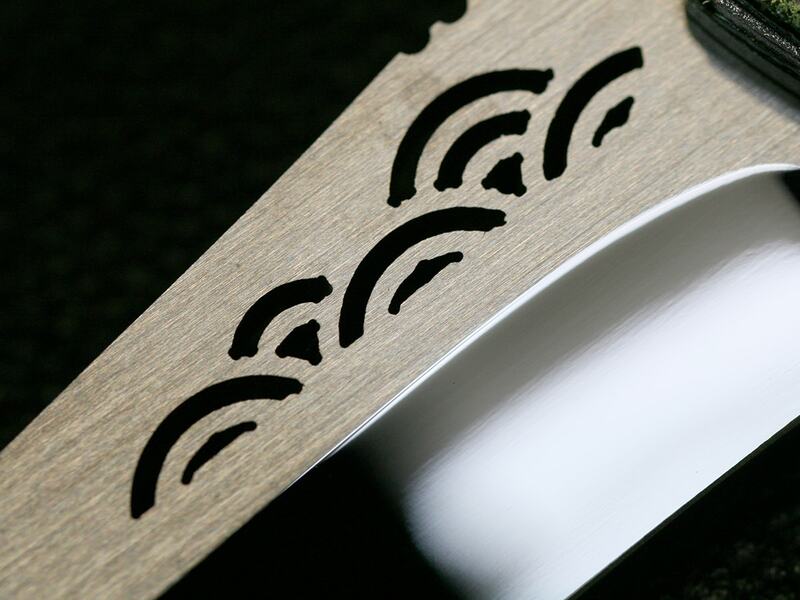 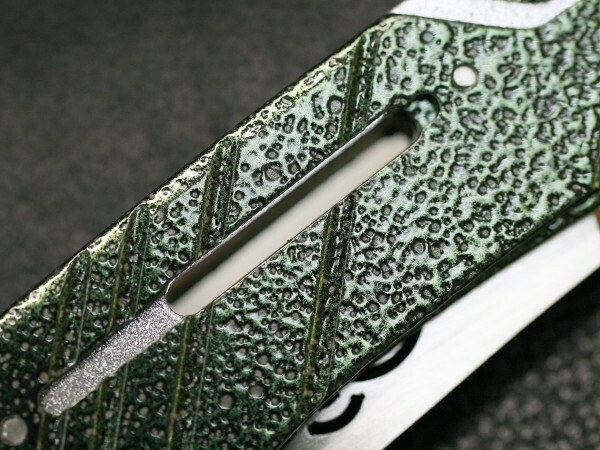 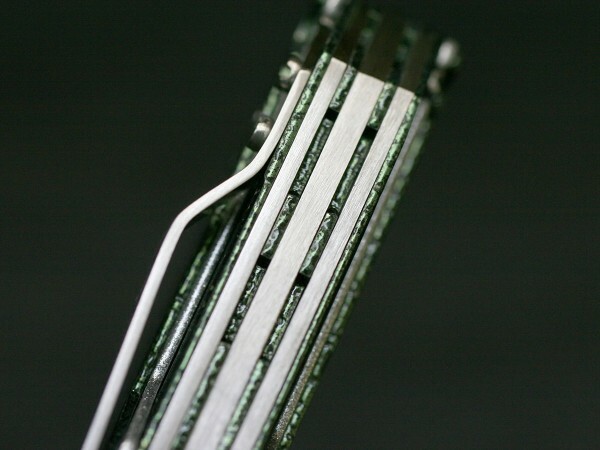 The drop point style blade is made from Stavax steel with mirror polish finish and a cut out with Seigaiha (is a semi-circle tripled and repeated like a wave.) 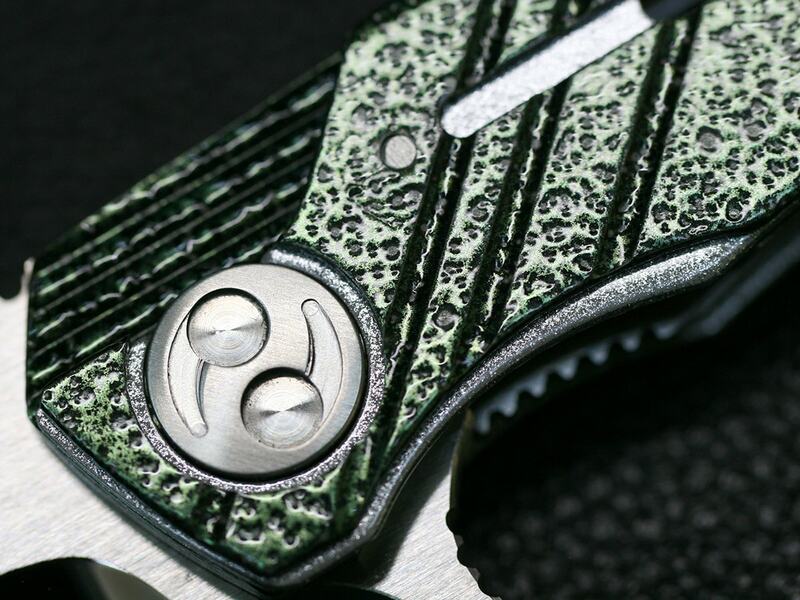 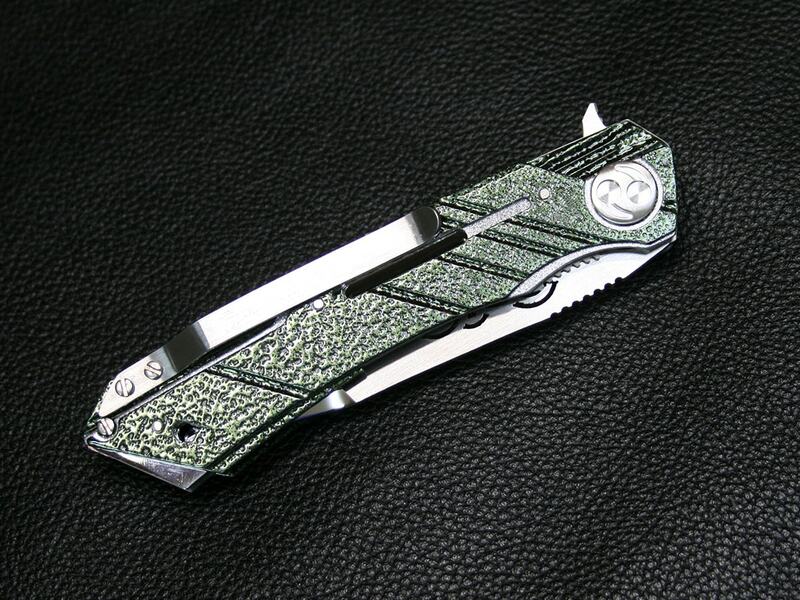 pattern, satin flats, and it can be easily and instantly used via the flipper tab. The handle is made of three layers of duralumin, the all powder coating finish. 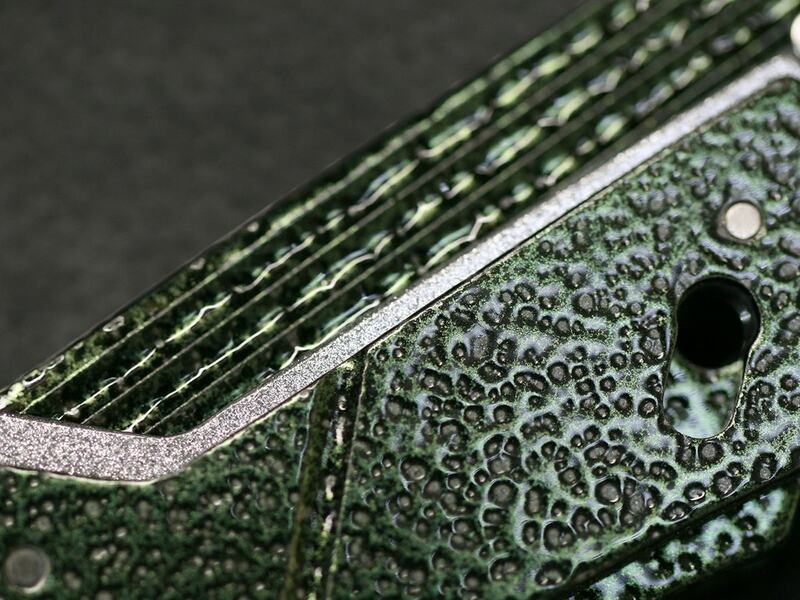 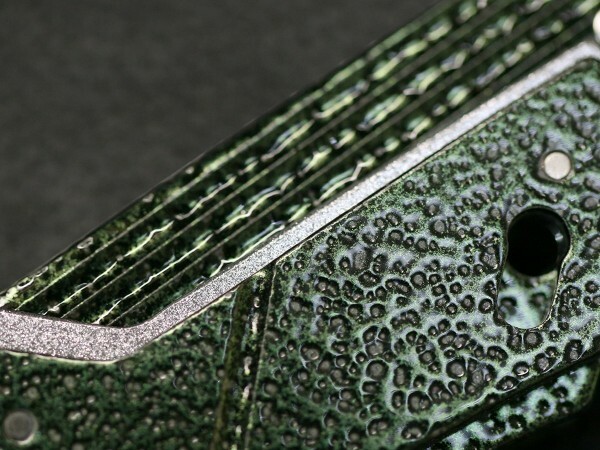 The powder coating is glossy, but the survace of bump green has a bmupy.